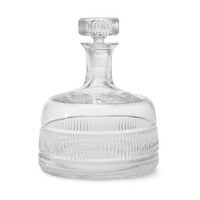 Rounded topper. 4½" diameter. 8¼" height. 24 oz. capacity. 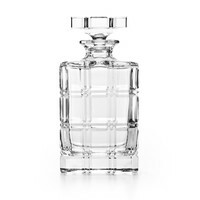 This item is 24% lead crystal. Hand wash. Imported. 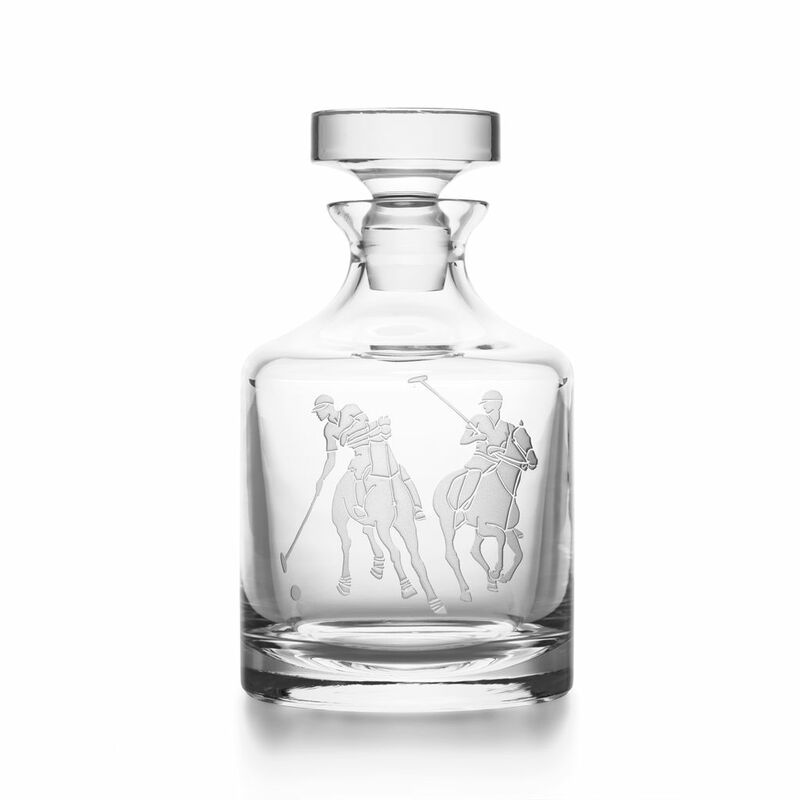 OVERVIEW Our equestrian-inspired Garrett decanter is crafted from gleaming hand-cut lead crystal and features a sandblasted design of a spirited polo match.